To keep our prices down we do not offer open accounts to any business or person. We do accept PayPal payments. Even if you do not have a PayPal account that is not a problem, you can still order from us. When you checkout it will ask if you have an account with PayPal just click yes or no. PayPal is one of the biggest and most reliable companies for credit card processing (http://www.paypal.com/). 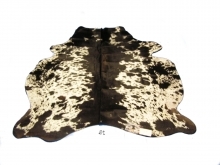 If you are ordering leather such as hair on goats please keep in mind you will receive discounts if you order 6, 12 or 100 hides. You will see your discount price in your shopping cart or you can see the items you can mix and match to receive discounts at product_discounts.php . Hosting and Programming by mediajaw.